The name of this corporation is San Diego Collaborative Arts Project, Inc. The principal office for the transaction of the activities and affairs of this corporation is located at the San Diego Collaborative Arts Project, 6061 Fairmount Ave, San Diego, CA 92120 in San Diego County, California. The board of directors may change the location of the principal office. Any such change of location must be noted by the secretary on these bylaws opposite this Section; alternatively, this Section may be amended to state the new location. The board may at any time establish branch or subordinate offices at any place or places where this corporation is qualified to conduct its activities. The specific purpose of this corporation is to support individuals, groups and communities in the San Diego, California region in producing and demonstrating collaborative arts and projects, particularly those that model and/or employ the principles of: (1) Radical Inclusion; (2) Gifting; (3) Decommodification; (4) Radical Self-reliance; (5) Radical Self- expression; (6) Communal Effort; (7) Civic Responsibility; (8) Leave No Trace; (9) Participation; and (10) Immediacy, and to carry on other charitable and educational activities associated with this goal as allowed by law. Construction; Definitions. Unless the context requires otherwise, the general provisions, rules of construction, and definitions in the California Nonprofit Corporation Law shall govern the construction of these bylaws. Without limiting the generality of the preceding sentence, the masculine gender includes the feminine and neuter, the singular includes the plural, the plural includes the singular, and the term “person” includes both a legal entity and a natural person. This corporation is organized and operated exclusively for the purposes set forth in Article IIA hereof within the meaning of Internal Revenue Code section 501(c)(3) or the corresponding provision of any future federal tax code. No substantial part of the activities of this corporation shall consist of carrying on propaganda, or otherwise attempting to influence legislation, and the corporation shall not participate or intervene in any political campaign (including the publishing or distribution of statements) on behalf of any candidate for public office. Notwithstanding any other provision of these articles, the corporation shall not carry on any other activities not permitted to be carried on (a) by a corporation exempt from federal income tax under section 501(c)(3) of the Internal Revenue Code, or the corresponding section of any future federal tax code, or (b) by a corporation, contributions to which are deductible under section 170(c)(2) of the Internal Revenue Code, or the corresponding section of any future federal tax code. The property of this corporation is irrevocably dedicated to the purposes in Article IIA hereof and no part of the net income or assets of this corporation shall ever inure to the benefit of, or be distributable to, any director, officer, or member thereof or to the benefit of any private person, except that the corporation shall be authorized and empowered to pay reasonable compensation for services rendered and to make payments and distributions in furtherance of the purposes set forth in Article 3 hereof. Upon the dissolution or winding up of this corporation, its assets remaining after payment, or provision for payment, of all debts and liabilities of this corporation shall be distributed for charitable and/or educational purposes within the meaning of section 501(c)(3) of the Internal Revenue Code, or the corresponding section of any future federal tax code, to a nonprofit fund, foundation or corporation which is organized and operated exclusively for educational and/or charitable purposes and which has established its tax-exempt status under Internal Revenue Code section 501(c)(3) and has established its tax-exempt status under Revenue and Taxation Code section 23701d (or the corresponding section of any future California revenue and tax law) and satisfies the requirements of Revenue and Taxation Code section 214. 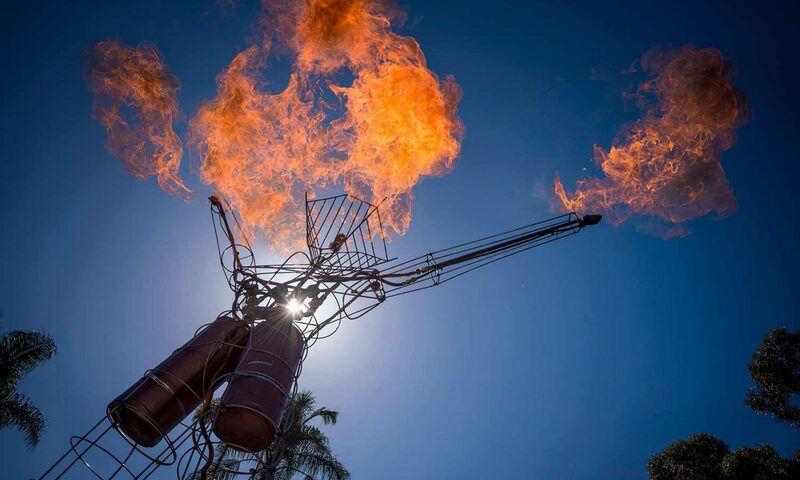 The distributee will be the BURNING MAN PROJECT, a California nonprofit public benefit corporation, if it qualifies as a distributee under this Article IV. The corporation shall have no fewer than seven (7) or more than fifteen (15) directors, with the exact number to be fixed within these limits by approval of the Board of Directors in the manner provided in these bylaws, and collectively they shall be known as the Board of Directors. The number may be changed by amendment of this bylaw, or by repeal of this bylaw and adoption of a new bylaw, as provided in these bylaws. Subject to the provisions of the California Nonprofit Public Benefit Corporation law and any limitations in the articles of incorporation and bylaws relating to action required or permitted to be taken for this corporation, the activities and affairs of this corporation shall be conducted and all corporate powers shall be exercised by or under the direction of the Board of Directors. Register their addresses with the secretary of the corporation and notices of meetings mailed or emailed to them at such addresses shall be valid notices thereof. Each director shall serve for a three (3) year term and shall hold office until the next meeting for the appointment of the Board of Directors as specified in these bylaws, pursuant to their term, and until his or her successor is appointed and qualified. Directors shall serve without compensation. However, they shall be allowed reasonable advancement or reimbursement of expenses incurred in the performance of their regular duties as specified in Section 3 of this Article. Directors may not be compensated for rendering services to the corporation in any capacity other than director unless such other compensation is reasonable and is allowable under the provisions of Section 6 of this Article. Any payments to directors shall be approved in advance in accordance with this corporation’s Conflict of Interest policy, as set forth in Article 9 of these bylaws. Meetings shall be held at such place within or without the State of California which has been designated from time to time by resolution of the Board of Directors. Directors shall make every reasonable effort to attend Board Meetings in person, however, any meeting, regular or special, may be held by conference telephone, electronic video screen communication, or other communications equipment. that all actions of, or votes by, the board are taken and cast only by directors and not by persons who are not directors. Regular meetings of directors shall be held on the second and fourth Wednesday of the month at 7:00 PM, unless rescheduled by board consent at least 24 hours before the regularly scheduled meeting, in which event the regular meeting shall be held at another time and place as determined by the Board of Directors. At the annual meeting of directors held on the second Wednesday of March, directors shall be appointed by the Board of Directors in accordance with this section. Cumulative voting by directors for the election of directors shall not be permitted. The candidates receiving the highest number of votes up to the number of directors to be elected shall be elected. Each director shall cast one vote, with voting being by ballot only. Special meetings of the Board of Directors may be called by any director, with consent of the majority of the board, and such meetings shall be held at the place, within or without the State of California, designated by the person or persons calling the meeting. Regular meetings of the board may be held without notice. Special meetings of the board shall be held upon four (4) days’ notice by first-class mail or forty-eight (48) hours’ notice delivered by email. If sent by mail or email, the notice shall be deemed to be delivered on its deposit in the mail or on its sent date if delivered by email. Such notices shall be addressed to each director at his or her address as shown on the books of the corporation. Notice of time and place of adjourned meeting shall be given of any adjourned regular or special meeting to directors absent from the original meeting. Notice of meetings not herein dispensed with shall specify the place, day, and hour of the meeting. The purpose of any board meeting need not be specified in the notice. A quorum shall consist of more than one-half (1/2) of directors. Board decisions and resolutions require a 2/3 majority of voting members present. Every act or decision done or made is made according to the provisions of the California Nonprofit Public Benefit Corporation Law, particularly those provisions relating to appointment of committees (Section 5212), approval of contracts or transactions in which a director has a material financial interest (Section 5233), and indemnification of directors (Section 5238e), and as such laws may require a greater percentage or different voting rules for approval of a matter by the board. Meetings shall be governed by rules established from time to time by the Board, insofar as such rules are consistent with and not in conflict with these bylaws, with the articles of incorporation of this corporation, and with provisions of law. Any action required, or permitted to be taken by the Board of Directors under any provision of law may be taken without a meeting, if all members of the board shall individually or collectively consent, in accordance with Article 3 Section 14 in writing to such action. Email is an acceptable form of consent in writing for such board actions. For the purposes of this Section only, “all members of the board” shall not include any “interested director” as defined in Section 5233 of the California Nonprofit Public Benefit Corporation Law. Such written consent or consents shall be filed with the minutes of the proceedings of the board. Such action by written consent shall have the same force and effect as the unanimous vote of the directors. Any certificate or other document filed under any provision of law which relates to action so taken shall state that the action was taken by unanimous written consent of the Board of Directors without a meeting and that the bylaws of this corporation authorize the directors to so act, and such statement shall be prima facie evidence of such authority. The Board of Directors may declare vacant the office of a director who has been declared of unsound mind by a final order of court, or convicted of a felony, or been found by a final order or judgment of any court to have breached any duty under Section 5230 and following sections of the California Nonprofit Public Benefit Corporation Law. Directors may be removed without cause by unanimous consent of all other directors then in office. Vacancies on the board may be filled by the selection of the directors currently in office. A person selected to fill a vacancy as provided by this Section shall hold office until the next annual selection of the Board of Directors or until his or her death, resignation, or removal from office. However, if, after the death, resignation or removal of a director, at least seven (7) directors are currently serving, as provided in Article 3, Section 1 of these bylaws, the board may elect not to fill the vacancy. The directors shall not be personally liable for the debts, liabilities, tax obligations, or other obligations of the corporation. The Board of Directors may adopt a resolution authorizing the purchase and maintenance of insurance on behalf of any agent of the corporation (including a director, officer, employee, or other agent of the corporation) against any liability other than for violating provisions of law relating to self-dealing (Section 5233 of the California Nonprofit Public Benefit Corporation Law) asserted against or incurred by the agent in such capacity or arising out of the agent’s status as such, whether or not the corporation would have the power to indemnify the agent against such liability under the provisions of Section 5238 of the California Nonprofit Public Benefit Corporation Law. The officers of the corporation shall be a president, a corporate secretary, and a chief financial officer who shall be designated the treasurer. The corporation may also have, as determined by the Board of Directors, a chairperson of the board, one or more vice presidents, assistant secretaries, assistant treasurers, or other officers. Any number of offices may be held by the same person, except that neither the secretary nor the treasurer may serve as the president or chairperson of the board. Any person may serve as an officer of this corporation. Officers shall be appointed by the Board of Directors, at any time, and each officer shall hold office until he or she resigns, is removed, or is otherwise disqualified to serve, or until his or her successor shall be appointed and qualified, whichever occurs first. The Board of Directors may remove any officer, either with or without cause, at any time. Any officer may resign at any time by giving written notice to the Board of Directors or to the president or secretary of the corporation. Any such resignation shall take effect at the date of receipt of such notice or at any later date specified therein, and, unless otherwise specified therein, the acceptance of such resignation shall not be necessary to make it effective. The above provisions of this Section shall be superseded by any conflicting terms of a contract, which has been approved or ratified by the Board of Directors relating to the employment of any officer of the corporation. The president shall be the chief executive officer of the corporation and shall perform those duties assigned to said officer by the Board of Directors. He or she shall perform all duties incident to his or her office and such other duties as may be required by law, by the articles of incorporation of this corporation, or by these bylaws, or which may be prescribed from time to time by the Board of Directors. Unless another person is specifically appointed as chairperson of the Board of Directors, he or she shall preside at all meetings of the Board of Directors. Except as otherwise expressly provided by law, by the articles of incorporation, or by these bylaws, he or she shall, in the name of the corporation, execute such deeds, mortgages, bonds, contracts, checks, or other instruments, which may from time to time be authorized by the Board of Directors. These duties may be assigned to additional people by resolution of the board. Certify and keep the current copy of these bylaws as amended or otherwise altered to date. Keep at such place as the board may determine, a book of minutes of all meetings of the directors, and, if applicable, meetings of committees of directors and of members, recording therein the time and place of holding, whether regular or special, how called, how notice thereof was given, the names of those present or represented at the meeting, and the proceedings thereof. Exhibit at all reasonable times to any director of the corporation, or to his or her agent or attorney, on request therefore, the bylaws, and the minutes of the proceedings of the directors of the corporation. Keep and maintain, or cause to be kept and maintained, adequate and correct accounts of the corporation’s properties and business transactions, including accounts of its assets, liabilities, receipts, disbursements, gains, and losses. The salaries of the officers, if any, shall be fixed from time to time by resolution of the Board of Directors, and no officer shall be prevented from receiving such salary by reason of the fact that he or she is also a director of the corporation, provided, however, that such compensation paid a director for serving as an officer of this corporation shall only be allowed if permitted under the provisions of Article 3, Section 6, of these bylaws. In all cases, any salaries received by officers of this corporation shall be reasonable and given in return for services actually rendered for the corporation which relate to the performance of the charitable or public purposes of this corporation. All officer salaries shall be approved in advance in accordance with this corporation’s conflict of interest policy, as set forth in Article 9 of these bylaws. By a majority vote of board members then in office and not part of the executive committee, the board may at any time revoke any or all of the authority so delegated. The committee shall keep regular minutes of its proceedings, cause them to be filed with the corporate records, and report the same to the board from time to time as the board may require. The corporation shall have such other committees as may from time to time be designated by resolution of the Board of Directors. Such other committees may consist of persons who are not also members of the board. These additional committees shall only act in an advisory capacity to the board and shall be clearly titled as “advisory” committees. By a majority vote of board members then in office and not part of the advisory committee, the board may disband any such committee. Meetings and action of executive committees shall be governed by, noticed, held, and taken in accordance with the provisions of these bylaws concerning meetings of the Board of Directors, with such changes in the context of such bylaw provisions as are necessary to substitute the committee and its members for the Board of Directors and its members, except that the time for regular meetings of committees may be fixed by resolution of the Board of Directors or by the committee. The Board of Directors may also fix the time for special meetings of committees. The Board of Directors may also adopt rules and regulations pertaining to the conduct of meetings of committees to the extent that such rules and regulations are not inconsistent with the provisions of these bylaws. The Board of Directors, except as otherwise provided in these bylaws, may by resolution authorize any officer or agent of the corporation to enter into any contract or execute and deliver any instrument in the name of and on behalf of the corporation, and such authority may be general or confined to specific instances. Unless so authorized, no Member of the board, officer, agent, or employee shall have any power or authority to bind the corporation by any contract or engagement or to pledge its credit or to render it liable monetarily for any purpose or in any amount. A copy of the corporation’s articles of incorporation and bylaws as amended to date, which shall be open to public inspection at all reasonable times. The Board of Directors may adopt, use, and at will alter, a corporate seal. Failure to affix the seal to corporate instruments, however, shall not affect the validity of any such instrument. Any information required by Section 6 of this Article. The fiscal year of the corporation shall begin on the First Day of April and end on the Last day of March in each year. Any director, principal officer, member of a committee with governing board delegated powers, or any other person who is a “disqualified person” as defined in Section 4958(f)(1) of the Internal Revenue Code and as amplified by Section 53.4958-3 of the IRS Regulations, who has a direct or indirect financial interest, as defined below, is an interested person. An interested person may make a presentation at the governing board or committee meeting, but after the presentation, at remaining boards’ discretion he/she shall leave the meeting during the discussion of, and the vote on, the transaction or arrangement involving the possible conflict of interest. After exercising due diligence, the governing board or committee shall determine whether the corporation can obtain with reasonable efforts a more advantageous transaction or arrangement from a person or entity, that would not give rise to a conflict of interest. If a more advantageous transaction or arrangement is not reasonably possible under circumstances not producing a conflict of interest, the governing board or committee shall determine by the disinterested directors whether the transaction or arrangement is in the corporation’s best interest, for its own benefit, and whether it is fair and reasonable. In conformity with the above determination, it shall make its decision as to whether to enter into the transaction or arrangement. the comparability data obtained and relied upon and how the data was obtained. Subject to any provision of law applicable to the amendment of bylaws of public benefit nonprofit corporations, these bylaws, or any of them, including a bylaw specifying or changing the number of directors of this corporation, may be altered, amended, or repealed and new bylaws adopted by a two-thirds (2/3) super-majority vote of the Board of Directors. Subject to any provision of law applicable to the amendment of articles of incorporation of public benefit nonprofit corporations, the articles of incorporation, may be altered, amended, or repealed and new articles adopted by a two-thirds (2/3) super-majority vote of the Board of Directors. No director, officer, employee, or other person connected with this corporation, or any private individual, shall receive at any time any of the net earnings or pecuniary profit from the operations of the corporation, provided, however, that this provision shall not prevent payment to any such person of reasonable compensation for services performed for the corporation in effecting any of its public or charitable purposes, provided that such compensation is otherwise permitted by these bylaws and is fixed by resolution of the Board of Directors; and no such person or persons shall be entitled to share in the distribution of, and shall not receive, any of the corporate assets on dissolution of the corporation. This corporation makes no provision for members; therefore, pursuant to Section 5310(b) of the Nonprofit Public Benefit Corporation Law of the State of California, all actions shall only require the approval of the Board of Directors, per Article 3 Section 14. We, the undersigned, are all of the persons acting as the initial directors of San Diego Collaborative Arts Project, a California nonprofit corporation, and, pursuant to the authority granted to the directors by these bylaws to take action by unanimous written consent without a meeting, consent to, and hereby do, adopt the foregoing bylaws, consisting of 40 pages, as the bylaws of this corporation.